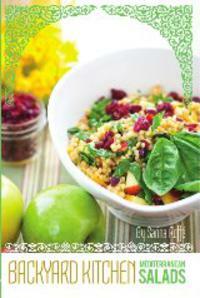 Sarina's Sephardic Cuisine - Kosher Family Recipes - The Holidays Are Over - What's Next? The Holidays Are Over - What's Next? The fall Jewish holidays are over. I thought I was prepared when I had a full packed freezer and two refrigerator freezers, along with two full refrigerators. I had appetizers, roasts, chickens and all kinds of goodies in the freezer. I had more fruit and veggies than you can imagine. Of course these were replenished every few days, still I feel like the food got inhaled. By Khal Hamoed my food stock was empty. There was nothing in the freezer to pull from. Where did the food go? Honestly, I am not complaining. I am delighted. The camaraderie of the holidays creates an environment of social interaction. We are all catching up on the past few months and the conversation flows easily. The lunch meal is relaxed; we aren’t in a rush to go anywhere. As a result, there is more noshing, more picking, more food consumed. The traditional foods are not eaten much during the year and are generally saved for the holidays or special occasions. Yet I want to give you an idea of the amount of food we consumed. I had 20 people for lunch on Rosh Hashanah – 72 mini pizzas, 72 sambusak, a full maza table of salads, six pounds of honey tilapia coated with corn flakes, roasted vegetables, potatoes, toss salad, lasagna, and more. Dessert was cheesecake, honey cake, fruit, nuts, etc. All gone. No leftovers. It is not often that I underestimate on food quantity. Certainly everyone had enough to eat, as I was able to keep pulling from my freezer. Usually there is something left over. I am delighted to be able to provide my guests with a relaxed atmosphere so that they want to stay, eat and enjoy each other. These meals keep our family together and provide annual traditions for the next generation to follow. Now that the holidays are over, what’s next? I am stocking the freezer again, preparing for the next occasion, the next time I have unexpected guests, the next time I have a crowd on Shabbat. The special bonds and relationships we develop during these meals, keep us together as a large family. It is a mitzvah to keep your family together by practicing traditions and creating an ambiance where togetherness thrives.